There are separate lines for the "Umaasa" and the "Pinaasa." (SPOT.ph) With only two more days left until Valentine's Day, it's not surprising for single people to be hyper-aware of their, well, non-existent lovelife. 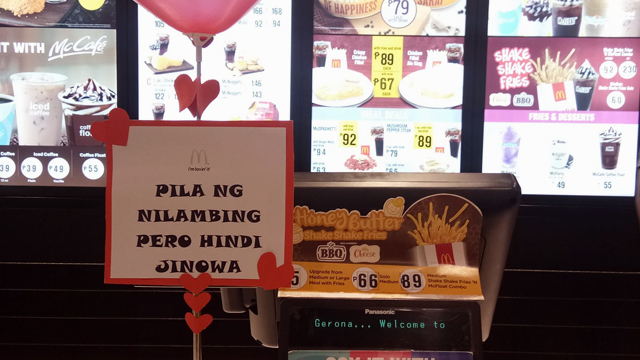 In any case, there's no escaping single awareness day if you happen to drop by select McDonald's branches, where customers are encouraged to fall in line according to their current status, using labels ranging from something as simple as "Umaasa" and "Pinaasa" to longer ones like "Pila ng nagmahal, nasaktan, nag McDo" and "Pila ng nilambing pero hindi jinowa." Different branches seem to have their own takes on the gimmick. 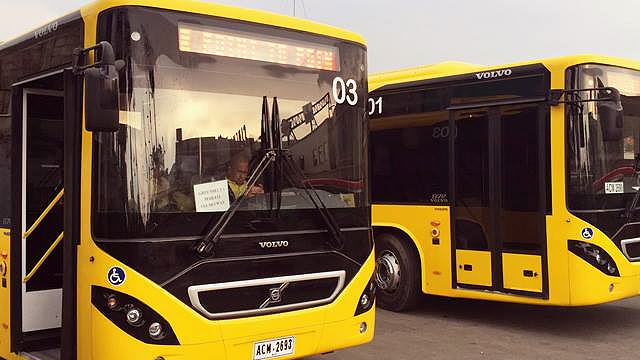 Others are using relatable labels like "Na-zoned" and "Pila ng iniwan." We've asked McDonald's to comment and will update as soon as they do. Maybe some customers would gladly go with the gimmick and line up accordingly, but it can't be helped if some would just head straight for the shortest line, like usual, to get the most of their short lunch breaks. Love life be damned. Main image from Ycka Wagner's Facebook post.